Don’t be fooled by his current status as the leader of the Jimmy Fallon house band or his recent acting role on The Deuce: Black Thought can still rap. 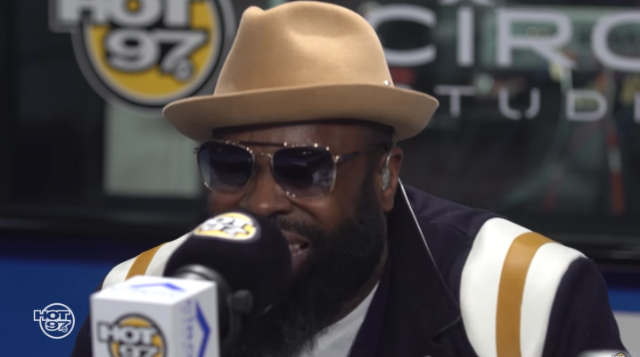 The Roots frontman recently stopped by the studio of Hot 97 for a 10-minute freestyle that had Funkmaster Flex making all manner of hilarious stank faces before absolutely losing his mind at the end. Black Thought is in top form throughout, dropping references to Franz Kafka, Buzz Bissinger, W.B. Yeats, and “pre-Kardashian Kanye,” all seemingly without ever stopping to take a breath. Watch it below. You’re probably going to want to rewind a few times.